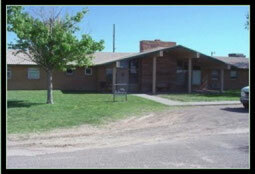 We invite you to join us on a quick campus tour of the New Mexico Baptist Children' Home. At each stop, we have listed prayer requests directly related to the activities that take place in that location. Thank you for your interest and we hope you enjoy your Virtual "Prayer Walk." 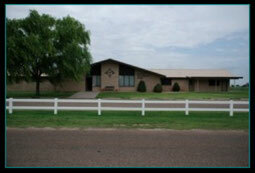 The main offices of the New Mexico Baptist Children’s Home are housed here at the front of the campus. This is where visitors stop to check in, and where the day-to-day business takes place. Meet our office personnel. Pray for our administrative staff, that God will guide all their decisions and they will walk in His light. The newest building on campus, our Massey Center, is named in honor of Mr. and Mrs. Jake Massey, who were both long-time supporters of your New Mexico Baptist Children’s Home. 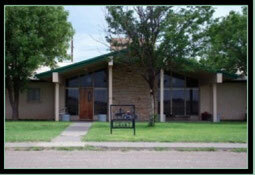 The campus gathers together often in this building for food, fun and fellowship. Offer a prayer of gratitude for the hands that lovingly prepare meals for everyone who eats here. 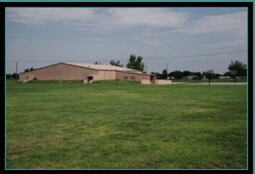 This view of the gymnasium is from across the campus. 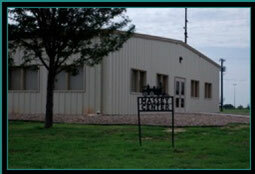 This building is used for many fun activities and rainy day activities. 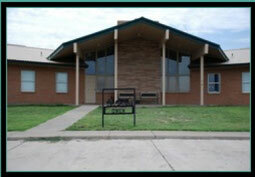 Our clothing closet is located in this building along with the school room for our online public school students. We thank God for the many blessing he has bestowed on this ministry. Volunteers, church groups and individuals work to met the needs of this campus. The first of our family-style cottages, Owen Cottage is named in honor of Mr. Frank Owen. Pray not only for the house parents, but for the children themselves as well as their families. Pray they will experience God’s mercy and grace in all of their lives. 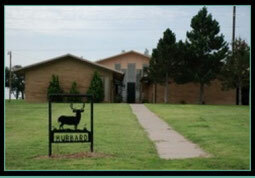 Hubbard is a familiar name at New Mexico Baptist Children’s Home. Mr. & Mrs. Walker C. Hubbard served NMBCH for 34 years as well-loved houseparents and administrators. Pray that the children in Hubbard Cottage will come to know that they are priceless creations of a loving Father, and they will begin living their lives in His purpose. Thank Him for the house parents that will help them realize their true worth. 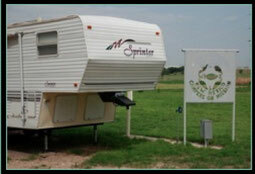 Built by “New Mexico Campers On Mission,” a small RV camp ground is located at the top of the campus. The area is designed for volunteers who are working on campus to park campers or RVs. Thank God for the many volunteers God has sent and continues to send to help in this ministry. Ask Him to bless their efforts by multiplying the energy, talent, and time they spend here. Grant Cottage is named for Mr. and Mrs. WC Grant. Pray for these children to come to a saving knowledge of Jesus Christ and fulfill the plans God has for their lives. Pray for the house parents to be instruments of God’s love and care for the children in Grant Cottage. The last of our family cottages is named for Mr. Henry Record. Pray that the house parents here will allow God to work through them to heal wounds and impress His unconditional love on young girls’ hearts. 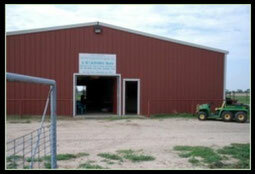 4-H is a large part of many of the children who live at your New Mexico Baptist Children’s Home. Many hours are spent here both before and after school tending animals and learning the lessons of love and responsibility. Pray that the children who work and play here will learn that all of creation tells of God and His imagination.